MEDICAL DEVICE COMPANIES THAT WISH TO COMPLY WITH INTERNATIONAL STANDARDS AND LEGAL REGULATIONS FOR QUALITY SYSTEMS MUST ESTABLISH AND MAINTAIN A CORRECTIVE ACTION PROCEDURE THAT DETAILS THEIR ACTION PLAN FOR CORRECTING INSTANCES OF A NON-CONFORMING PRODUCT. Whether your medical device company is preparing for a first FDA audit that would allow you to market your devices in the United States or working towards an ISO 9001 certification for medical quality systems, you will need to create a process or procedure for addressing instances of a non-conforming product. The corrective and preventive actions (CAPA) process is a cornerstone of any quality system. It is normal and expected for medical device companies to occasionally produce non-conforming products that do not meet specified quality standards. However, an effective CAPA process that includes an established corrective action procedure helps medical device companies determine the cause of non-conforming product through root cause analysis and continuously improve their processes to deliver the best product for the end user. WHAT STEPS ARE INCLUDED IN A CORRECTIVE ACTION PROCEDURE? The terms "CAPA procedure" and "corrective action procedure" are often used interchangeably by medical device companies, and it is not necessary to maintain separate procedures for both corrective and preventive actions - they can be combined into a single document that describes your company's overall CAPA process. A corrective action procedure cannot take place without a reported instance of a non-conforming product. A non-conforming product can be identified in many ways, including customer complaints, process analysis, service records, returns, and internal quality audits. Personnel and process owners at your medical device should be required to report non-conformance to their line manager or supervisor as part of your corrective action procedure. Once a non-conformance is reported, a quality manager is responsible for reviewing the non-conformance and determining whether it is necessary to initiate corrective actions. If corrective actions are required to address the non-conformance, a root cause analysis should be conducted to determine the source of the non-conformance. Once the problem is investigated thoroughly, the quality manager should create a corrective action plan to address the underlying non-conformance issue. Once a solution has been implemented, the next step is to verify that the solution worked. This can be done using sample testing or other statistical methodologies that should be outlined in the corrective action plan. Once a correction has been verified and implemented, the quality manager is responsible for ensuring that everyone connected to the process is informed about the changes. Finally, the quality manager should submit for management review any information and documentation related to a quality problem and the corrective or preventive actions taken to address the issue. In addition to satisfying the FDA or ISO requirements for a CAPA system, the corrective action procedure at your medical device company must also satisfy the document control requirements of 21 CFR Part 820.40 if you intend to sell your devices in the United States. You are responsible for ensuring that the document is properly reviewed, approved, and made available for everyone in your company in its most current version at all times. Changes to the document must be recorded, along with a complete revision history. 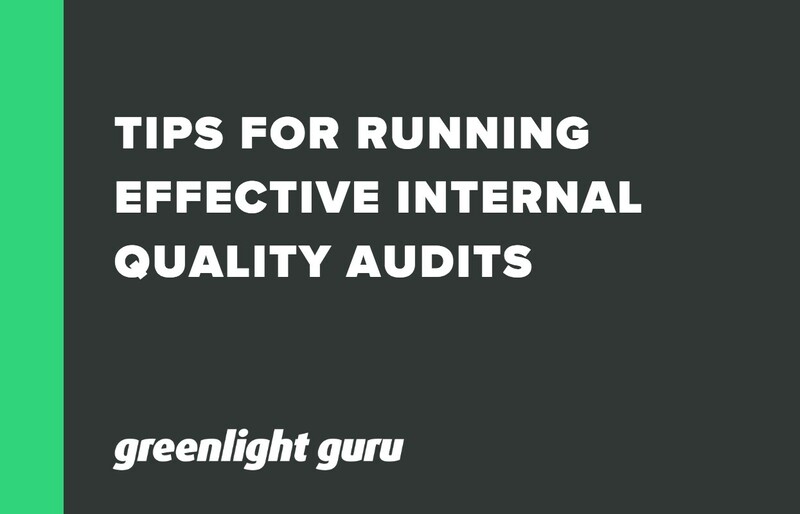 WIth Greenlight Guru’s Quality Management Software, you'll be able to securely store and access your corrective action procedure along with any other documentation generated as you implement your CAPA process. Greenlight Guru's automation and document control features help you save time and stay organized as you manage an effective and FDA-compliant CAPA process at your organization. 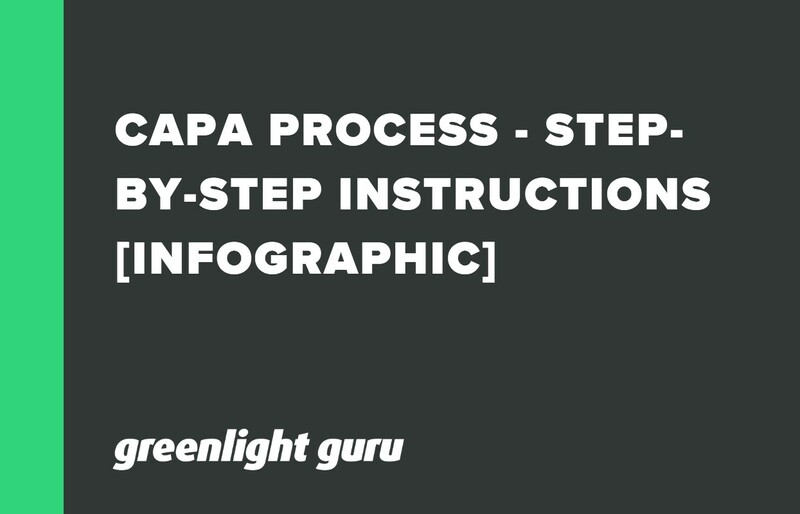 Looking to improve your CAPA process? Here are 15 steps to follow in an easy to read infographic. 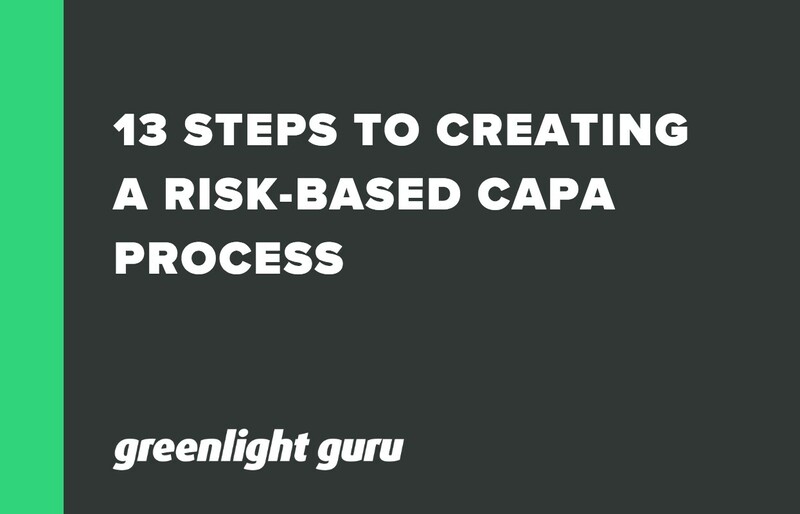 How you can create a risk-based CAPA process at your device company in 13 steps from Rob Packard of Medical Device Academy.